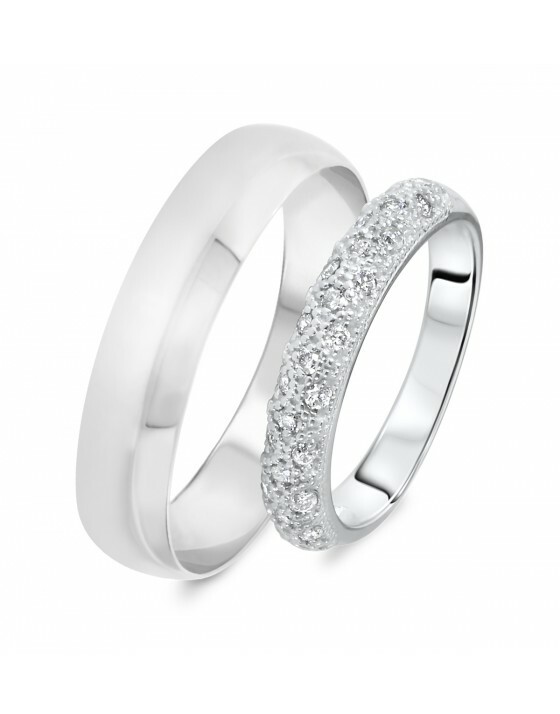 When you know you’ve found the right match, show her how you feel with this matching ring set. 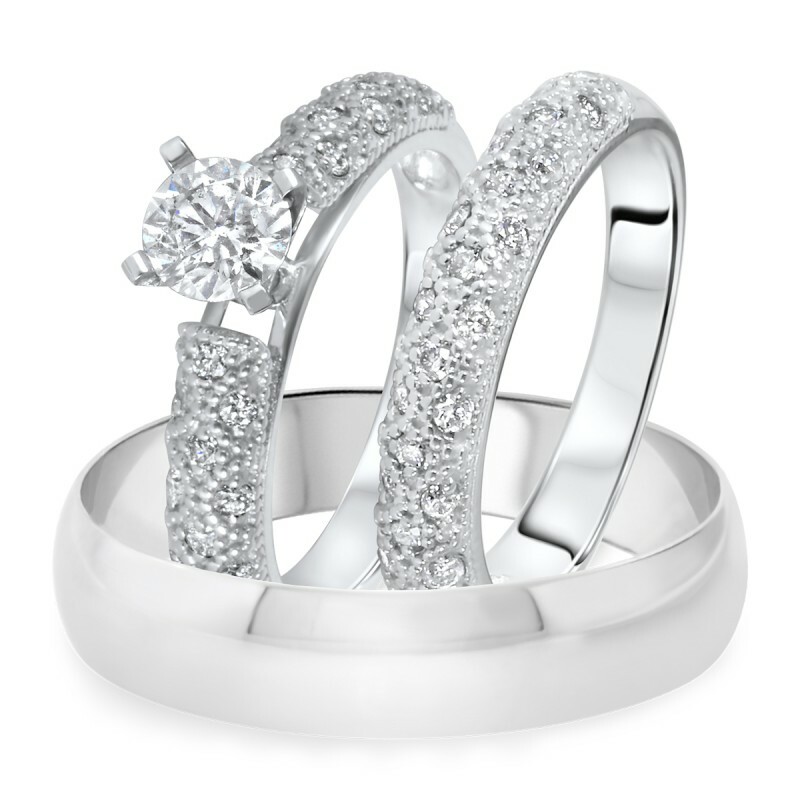 Not only does it mark a proposal as a momentous occasion, but it also provides the rings you’ll need when you make your lasting commitment on your wedding day. 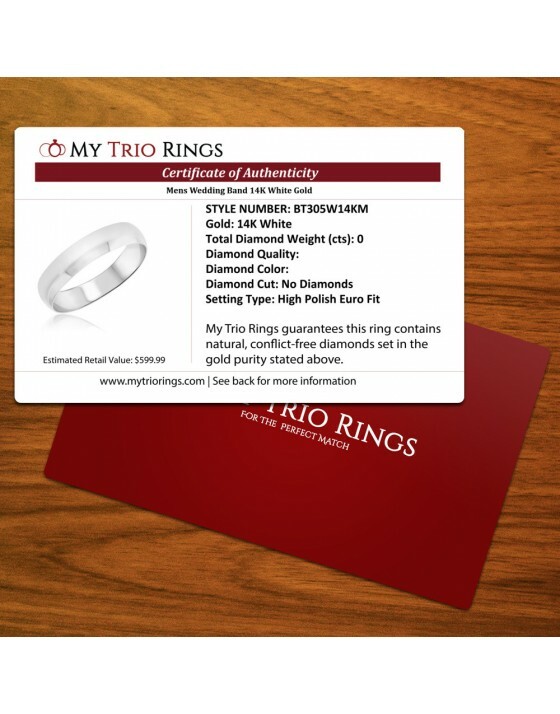 By ordering this trio set, you’re able to save on your wedding bands for him and her. 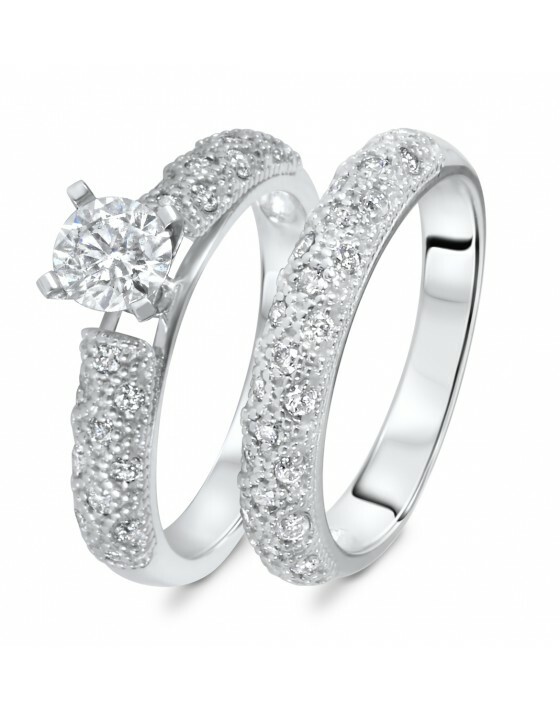 But you won’t sacrifice quality or glamour, since this ring set features authentic, conflict-free diamonds set in 14K White Gold! 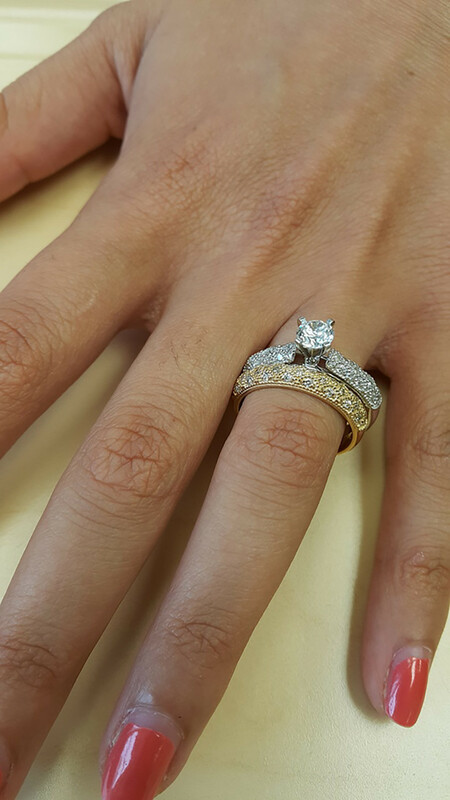 This diamond engagement ring is sure to wow with its impressive Round Solitaire center set in the middle of smaller diamonds sitting in solitaire and prongs and side-stone setting. 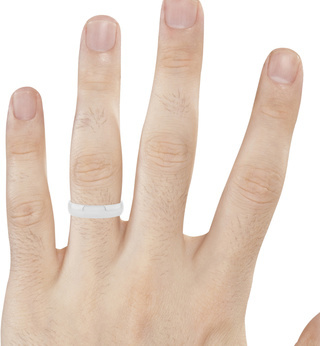 The band width and the detailed design help this ring really stand out with a unique look perfect for a trendsetter. 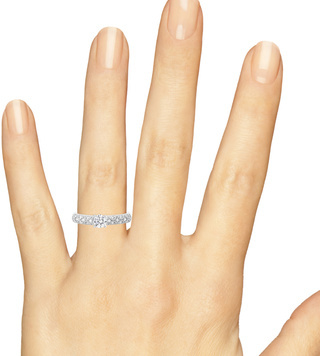 She won’t be able to stop staring at the elegance of this ring! 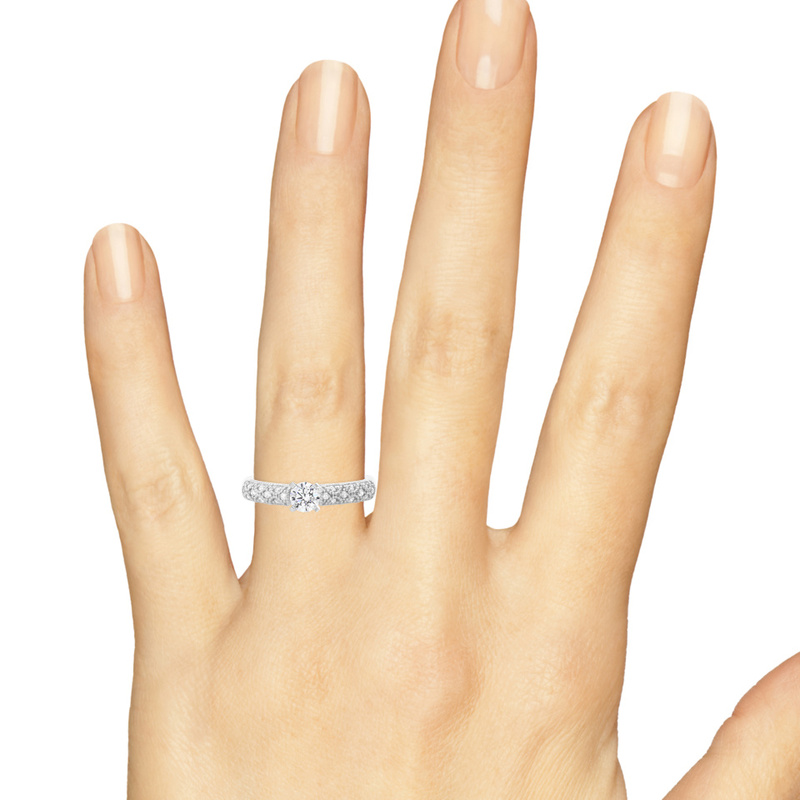 Add this ladies band to your engagement ring for a set that really draws the eye. 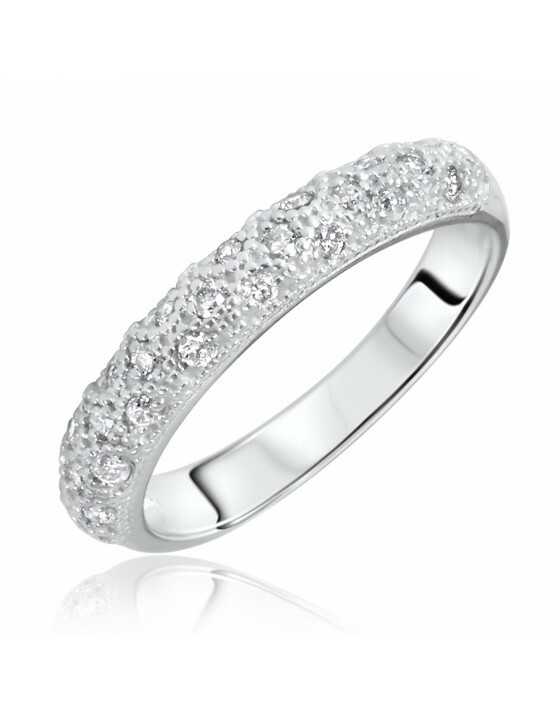 This ladies ring shows off with its 25 sparkling diamonds and 14K White Gold details. 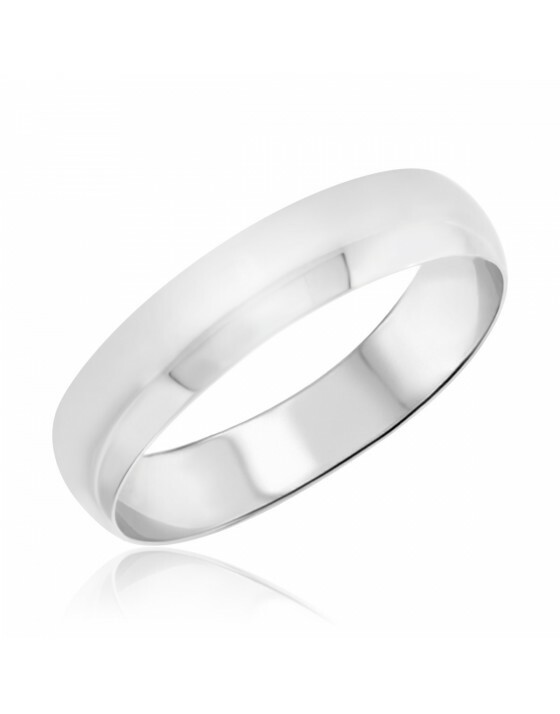 It perfectly fits with the engagement ring, while standing alone as a romantic, elegant choice perfect to celebrate a wedding. 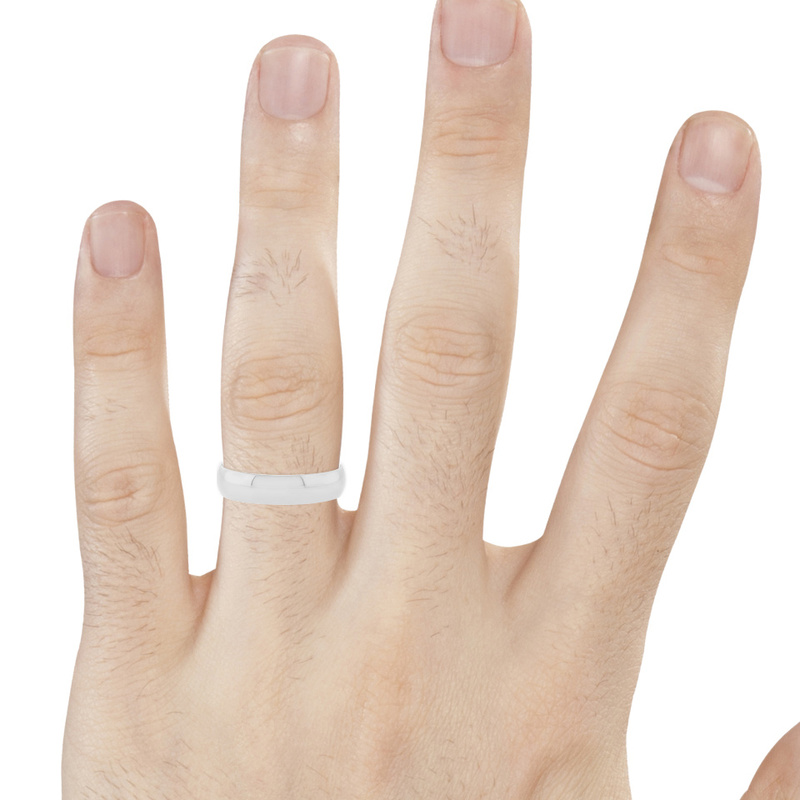 I just received my ring the day before Christmas Eve. It is so pretty! I have wanted a new engagement set for quite a while. My husband and I have been married for 16 years. It was a very nice gift!